Yet another fabulous college of the university. This is not a large college but has produced some very important people in its history. 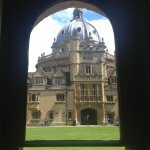 I stayed here last week for Oxford UNIQ's summer school, sleeping in the Frewin annexe and eating in the main Brasenose dining hall. Our rooms were reasonably sized and cleaned regularly. Some had en suites, but even those that did not only had to share a bathroom between a maximum of 4 people. Plus, every room had a little personal sink tucked behind a cupboard door. The food became a little monotonous: every morning the breakfast included scrambled eggs, american bacon/sausage, a tomato and some variant of potato. Basic options like toast also did not seem available. Dinner, however, was usually a lot more enjoyable and varied. 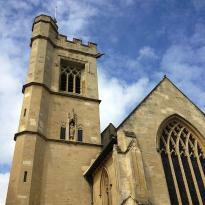 The JCR is lovely, if a little bit cramped, and there are plenty of activities to keep you busy. All staff I encountered were friendly and professional, striving to make our stay the best. My only issue, which may not be resolvable due to the nature of the buildings, is that staircases and other steps were not always highlighted, making navigation as a partially sighted person quite difficult. 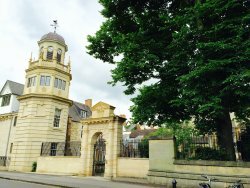 Also, when sleeping in the Frewin annex, be aware that many of the rooms overlook one of the backstreets of Oxford, so you are likely to experience shouting and other street noise throughout the night. Overall, though, a lovely college that I would definitely consider returning to. This place is unbelievable, right out of a storybook. The college functions as a B&B during the summer months, and the price and location and friendly staff and VIEW can’t be beat. 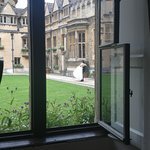 As I sat in my student room on the old quad, a young Chinese couple arrived with their photographers for their wedding photos, it’s that gorgeous. It’s something you really have to see to believe. 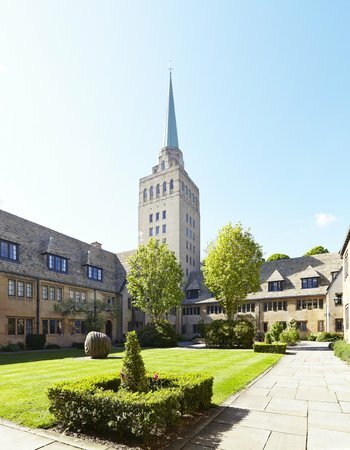 Sure, there must be great hotels in Oxford, but none has this experience, and for my teenager, who is considering applying to Oxford, the chance to stay in an actual student room is priceless. Highly highly recommend. 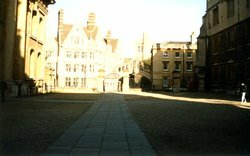 Founded in 1509 Brasenose College takes its name from a brass or bronze doorknob adorning the front door. A college library and chapel were added in the mid 17th century when the dining hall was also renovated to accommodate a wine cellar below. 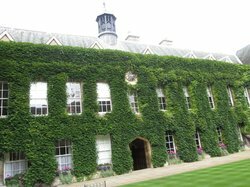 The New Quad dates from the late 19th and early 20th centuries. In 2010 a major refurbishment project began which has included restoring medieval kitchens dating from the 15th century which now serve as an additional dining space. Law is a particularly strong subject as is P.P.E. studied here by the former U.K. PM David Cameron and current Australian PM Malcolm Turnbull. Another famous alumni is Michael Palin. 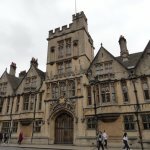 Founded in 1509, Brasenose College is one of the many beautiful colleges that comprise the University of Oxford.